Our farm, Golden Earthworm, has sent the below U-Pick Strawberry Schedule of Events. All CSA members and their guests are invited to visit the farm tomorrow, Saturday, June 9th. Please show your pink U-Pick Strawberry slip that came in the plastic packet with last week’s share. If you don’t have your slip or have misplaced it, you can sign in and show ID. Please follow the farm’s guidelines below. JUNE FARM DAYS ARE HERE! 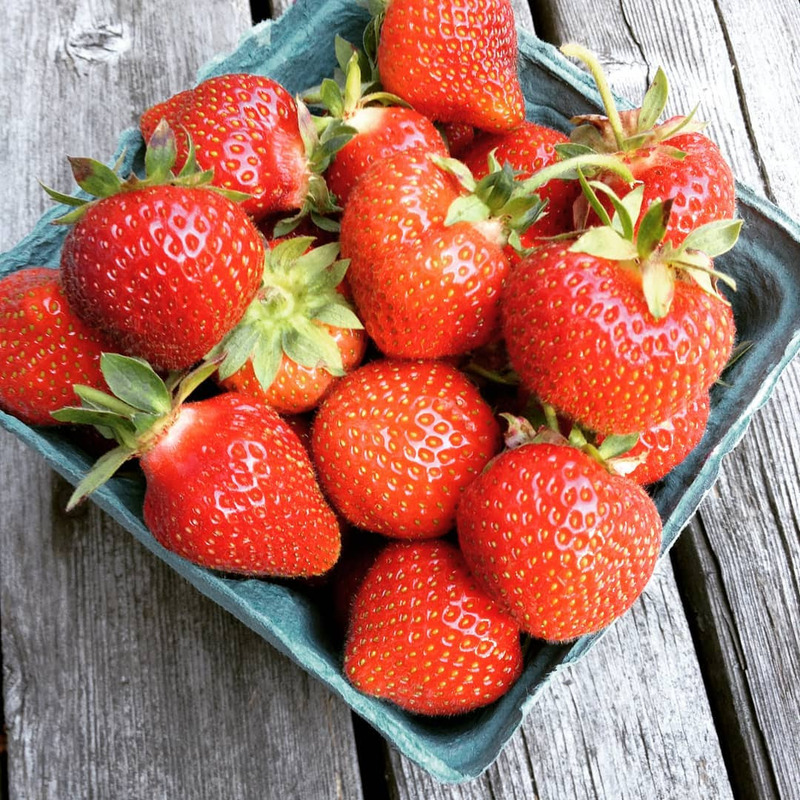 U-Pick Strawberries, a Farm Tour and Cooking Class! If you have misplaced your slip, you must sign in and show ID. GROUP LIMIT – 6 people per paid membership holder. Limit 1 container (free or paid) per guest. Additional U-Pick quarts are $4.50 each. Please do not bring your own containers. Per Food Safety Regulations, we provide the U-Pick quarts. PICNICS, LAWN CHAIRS, BLANKETS, ETC. ARE WELCOME. Bring your own food & drink! WE ACCEPT ALL MAJOR CREDIT CARDS IN OUR FARM SHOP. BY FARM STAFF TO ENSURE A SAFE AND HAPPY ENVIRONMENT FOR ALL! and we look forward to sharing it with you all! Copyright Â© 2018 Golden Earthworm Organic Farm, All rights reserved. You are a member of our CSA program for the 2018 season! Previous Flushing CSA (Week 2) Update! Next Flushing CSA (Week 3) Update!